Parts of the Austrian Kneissl group have started insolvency. Sheikh Al Jaber’s capital contribution did not take place. 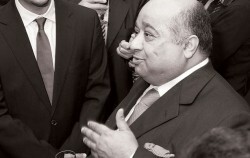 Although repeatedly promising a capital increase of € 1.2m, Kneissl's majority owner, Sheikh Al Jaber, allowed the last deadline for the payment to pass, and is therefore the party mainly responsible for the insolvency of a large part of the business group.